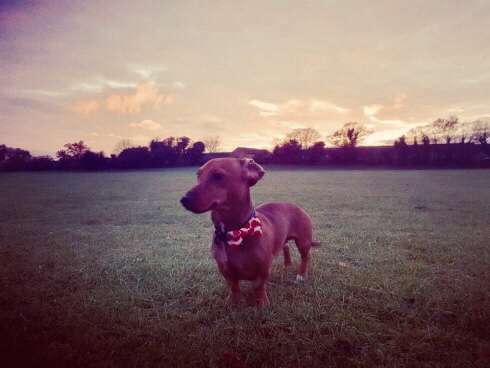 Dog lovers in Stevenage have come together to help reunite a family with their beloved miniture sausage dog, Ernie, after he went missing from Fairlands Valley Park this morning. Stephen Wells took to Facebook for help to find Ernie after he was spooked by a pair of labradoodles while on his morning walk through the lakes. Stevenage Borough council leader Sharon Taylor also took to Twitter to share the appeal to find Ernie. “Big Ernie has been lost at Fairlands Valley after running off when he got spooked by other dogs. He is a much love part of Stevie and Hannah’s family, so please let them know if you see him. Stephen and his family have been looking across Fairlands and surrounding areas since he went missing at around 9.30am today, and have been joined by around 40 members of the public in their search to bring the sausage dog home. He told the Comet: “I’m gutted, I feel like I’ve lost a limb. I’ve got another little dog Bert, and he’s really down in the dumps. “We’ve been looking all day, so he’s knackered. I’ve just come home to grab a cuppa, and then I’m going back out again. “I’ve been through all the woods at Fairlands, up and down the lakes. There’s 40 people at the lakes now still looking. “I’ve had people ringing my number who I’ve never spoke to before in my life to just let me know where they’ve been looking for him. Stephen and his wife Hannah have also phoned all the vets in the area to check if any dogs had been brought in, and asked police if there were any reports of dogs being hit by cars. Ernie is a minature sausage dog, all brown with a white strip on his front. He’s wearing a checked collar and a poppy bow tie. If you see Ernie, call Stephen on 07548 154236.